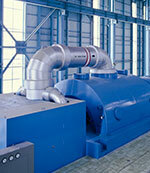 Lubrication Management Services looks to optimize your facility’s performance. 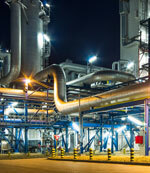 It all starts with a comprehensive assessment of your facility’s lubrication systems. This critical step sets the stage for Reliability Services to create a custom Reliability Roadmap that optimizes your facility’s performance. No two Roadmaps are identical – and that’s a good thing. It means that we approach your Roadmap with a single thought – to keep your operation Up and Running. Review of Standards‚ Consolidation and Procurement – determines how facility lubricant standards are set‚ plus reviews best practices for consolidation and rationalization of lubricant and procurement procedures. Lubricant Storage and Handling – checks how facility lubricants are stored and reviews the procedures of distribution and dispensing to equipment. Sampling Techniques – examines how lubricant is sampled‚ plus reviews the sampling equipment and techniques. Education‚ Training and Skills Management – reviews facility training materials. If possible‚ includes a real-time observation of employee training for lubrication practices‚ plus employee interviews. Oil Analysis – involves reviews by independent labs of representative facility lubricant samples for a full understanding of current lubricant status; assures that optimum lubricants are in use. Lubrication and Relubrication Practices – evaluates the facility’s lubrication and relubrication methods and schedules‚ assessing lubrication cycle times and determines if the proper lubricant‚ in the proper amount‚ is delivered to enhance equipment performance and life. Contamination Control – an investigation of potential contaminant exposure (air particles and water)‚including flushing practices‚ initial fill procedures and contamination control methods. We also look for cross contamination‚ which can significantly change lubricant viscosity and cause equipment damage. 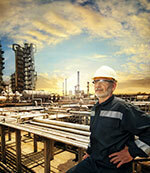 Program Management – examines how the facility’s lubrication system is designed‚ with the goal of improved efficiency. Procedures & Guidelines – looks step-by-step at all procedures‚ asks key questions with the goal of program enhancement. Goals & Metrics – determines the facility’s lubrication goals‚ their measurement methodology‚ and their impact on the facility’s overall goals. Safety Practices – determines existing safety procedures and goals‚ targets ensuring that all safety measures are met and never compromised. Continuous Improvement – establishes a frank discussion with maintenance and reliability personnel about their short and long-term goals for continuous improvement of the lubrication system. Reliability Services “scores” the results the results of the 12 assessment steps on a 1-10 scale “spider chart”. The higher the number‚ the better your facility’s performance. The score of each element provides a total score. We use that as an assessment tool that provides a guide from which our specialists make both general and specific recommendations to improve your facility’s lubrication management system practices. We use this proprietary tool to develop your facility’s Reliability Roadmap. We identify and prioritize the key elements that will provide you the greatest initial impact and overall lubrication system benefits. We also identify those that can be implemented over time to provide continuous improvement. Implementation is a collaborative effort. 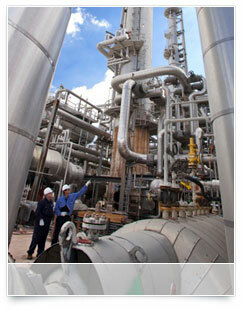 We work with you and your team to achieve the overall vision of complete facility lubrication reliability. We also provide cost-benefit analyses that show expected savings based on each recommendation we make. As the plan is implemented‚ we’re there with you every step of the way to maintain and reassess‚ making sure that the improvements you’ve achieved for your operation are sustained and that full program value is realized.